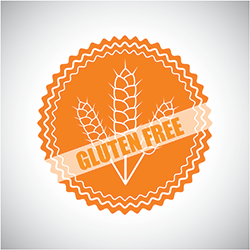 Curriculum Description: Gluten Free Eating Curriculum consists of three, one-hour lessons. Each of the three lessons covers different aspects of gluten free eating and includes activities and recipe suggestions for tastings or food demonstrations. Each lesson includes handouts for participants to use as a reference and hands-on activities. There is also a single, standalone lesson included that is comprised of some of the same slides and notes from the three lessons in the series. Overview/Need: About 20 percent of the U.S. population is looking to reduce or eliminate gluten from their diet. For people who make the decision to eat gluten free as a matter of dietary choice and not a medical necessity, there are many important considerations. As a result of the program, participants will gain insight into the considerations involved in gluten free eating. Participants will increase their knowledge about gluten free shopping, dining, cooking and baking. Target Audience: This curriculum is designed for adults or family members of those who are considering (or have chosen) a gluten free lifestyle as well as for those who have a medical reason to eliminate gluten from their diet.